Connect the Samsung Galaxy Note8 to a TV and enjoy all of the content from your phone on a bigger screen. 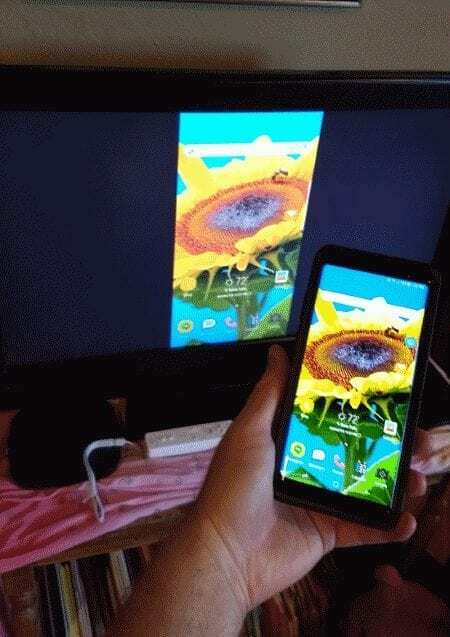 If you have a TV that supports a Miracast connection, you already have everything you need to mirror the screen from your Note 8 to the TV. Every TV links up differently. Check the documentation on your particular TV to find out how to connect a device via Miracast. If your TV does not support Miracast, you can use a set-top box that supports it. The most commonly used are the Roku and Amazon Fire TV. You could also use a Miracast Video Adapter. Swipe down from the tip of the Note8 screen with two fingers. Swipe left and select the “Smart View” option. Choose the device you wish to connect to. Once selected, the screen will start mirroring instantly. You can get a Google Chromecast and use it with the Note 8 to send content to your TV wirelessly. Ensure the Chromecast and Note8 are connected to the same Wi-Fi network. Install the Google Home app on the Note8. Follow the wizard to setup your device with your TV. Apps like Netflix and YouTube will now have a “Cast” button within the app that you can use to send the video to the Chromecast and TV. 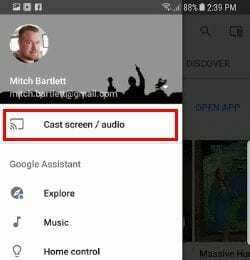 If you want to mirror everything on the device, open the Google Home app, select , then choose “Cast screen / audio“. Connect a Samsung USB-C to HDMI Adapter to the USB port on your phone. Connect a standard HDMI cable between the adapter and TV, and you’re ready to run. Soooo helpful; thank you for posting! Can’t thank you enough! I’ve been through dongles, and a few other items to try and get this to work, and it took me 5 seconds of reading this page to get my phone to finally mirror to the T.V. Great post. Helped me do exactly what I wanted to do a whole lot cheaper than I ? Thought it was going to be!! !